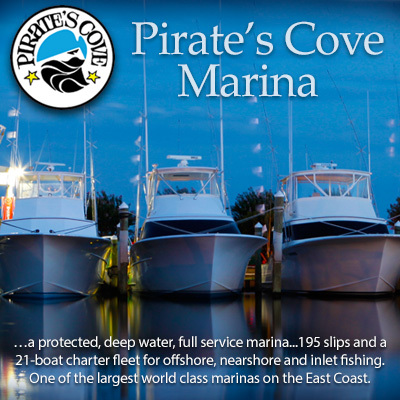 Pirate's Cove Marina offers dockage and dry storage for boats. We also offer a launch ramp and in-slip fueling. Our friendly and knowledgeable staff are here morning 'til night to bring you the best fishing experience on the Outer Banks.